We've been reviewed by Bambino Goodies by their master tester, Lola, and her mum. Below is the review from their website which you should definitely go and take a look at, it's got heaps of reviews for children's bits and bobs. I am all for an active childhood but I do worry about the kids venturing a little further than they should. So when I spied WATCHU I quickly got in touch to find out more because a wearable phone and locator that combines an emergency SOS function and location tracking into one simple device – that isn’t a phone – is brilliant. What I love about it, other than how simple to use – Lola got to grips with it within minutes – is how considered it is. You can call up your kid, but if they don’t respond (from choice or because of mishap) you can listen in covertly to see what’s happening. Of course, you can track where they are, and it’s pretty accurate with that. They can also press a button for an emergency SOS call – it will call you, and then the list of people in order until someone picks up… more of that in a moment. Lola’s been loving hers. Sometimes a little too much – those first few days I received quite a few phone calls from giggling seven-year-olds. Note, letting them wear to school may not be the best idea at this age! Anyway, Lola’s been wearing it a lot and hasn’t complained. 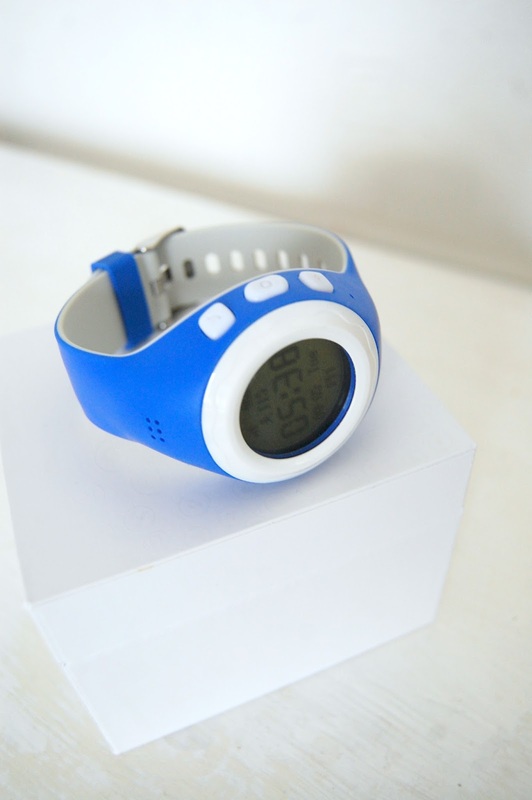 It is slightly bigger than a normal watch – there’s a lot of tech in there – but not too big and bulky. We wore it to a Justin Bieber concert over the summer at Hyde Park, and again, all day wear, no complaints! It looks great, is robust and wipe clean too. There’s an app you add to you phone which again, is simple to use. Using the app you can set who can be called, and who can call your child. Basically, it’s not a free for all. I can ring her, and she can ring me. I can also programme in lots of numbers so should she need urgent assistance and I don’t answer, it will automatically go through all the numbers until someone picks up. She can’t free dial, and people can’t randomly contact her. Through the app I can also view all message and call history. On the app you can set up a Geo Zones, and an alarm sounds if the child strays from a set zone. The only thing I wasn’t so keen on was how big the safe zone is, the virtual boundary. I’d have liked to be able to reduce that to literally our street and to school but it doesn’t reduce that low. I know I mentioned this earlier, but it really is super easy to use. We were up and running within 10 minutes, and there’s not lots of options to confuse her or I. Three buttons do all the functionality on the phone and the app is logical. There’s been no pocket dials yet! 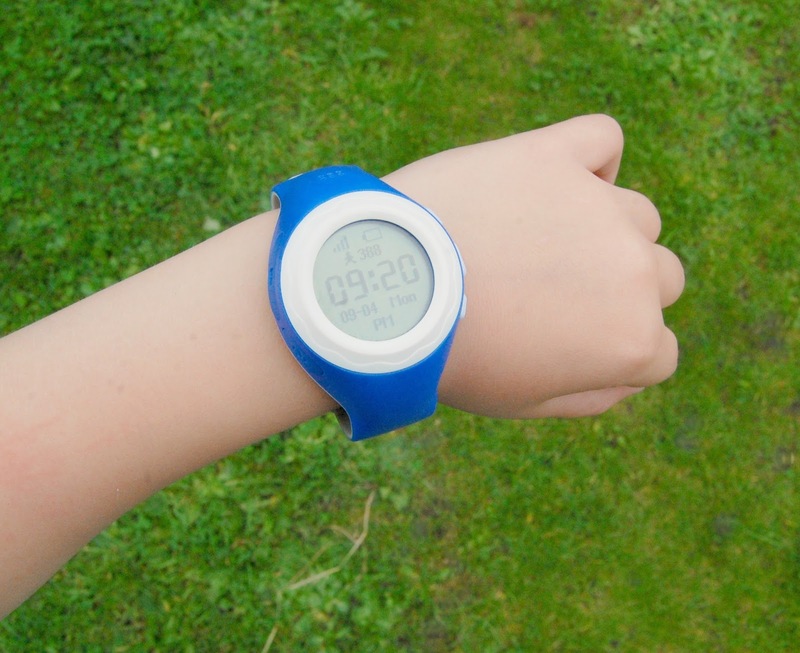 The watch has a pedometer. This was a bit of a revelation. My kid does a lot of steps a day – like 20,000-30,000. I didn’t realise! She loved watching her steps rise, and kept comparing to my Apple Watch, mostly to gloat she does more steps than me! There’s a long battery life, too. The watch seemed to last for days. It’s stating up to 120 hours of usage on a single charge. I didn’t log hours, but was definitely impressed. The watch comes with a PAYG SIM which has £3 worth of credit so you can use it straight out of the box. This I liked. And the tariff rates are good, too. Lola’s sense of independence increases significantly when she’s wearing her watch on. She has her watch, she knows to check in, she’s sensible and intelligent and the watch has helped me loosen those reins a little. 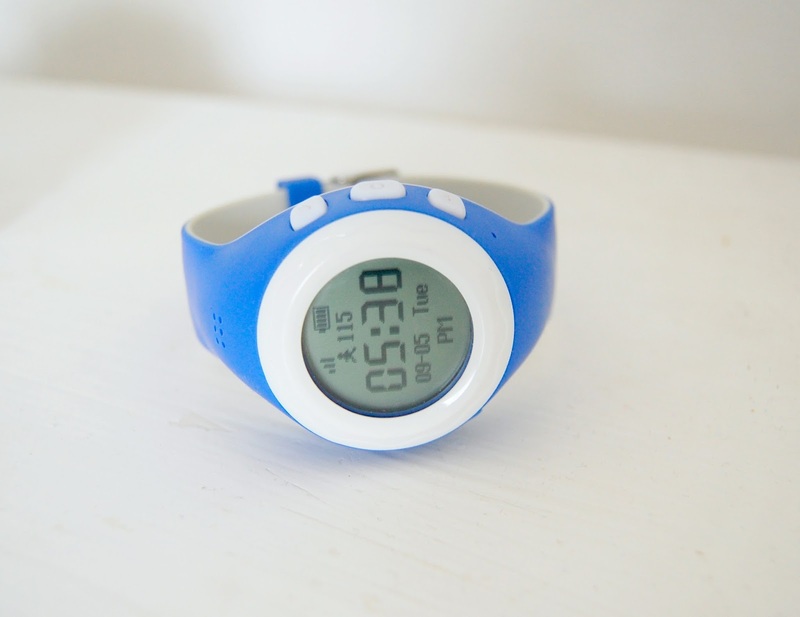 Lola’s too young for a phone, and the Watchu is a perfect interim solution – especially as it’s locked down. No inappropriate contact, no dodgy social sites or games with chat functionality. That’s peace of mind right there. You can buy your WATCHU GPS Tracking Smart Watch direct for £119.99 or on Amazon. It’s a big thumbs up from us. We were at a family gathering on Sunday and I was saying how this Summer seems to have been our most exhausting; it's flown by but the days have been long, and I'm feeling quite ready for the cosier nights to come and the shorter days! The reason for our hectic summer is definitely down to it being our first as parents to two active little ones. Little E found his feet just before his first birthday arrived and has been virtually unstoppable since. He wants to be running, climbing and exploring everywhere and like all little ones requires watching 24/7. TJ has shot up this Summer and seems to be so much more grown up in every way; he's still full of energy though and when he's not building new Lego creations he's out racing about and playing in the garden until late. Going out with kids is never the easiest option and this year we've found it more than challenging going on family trips to adventure parks and other attractions that have been full of families making the most of the sunshine like ourselves! Even with both of us there it's not easy to watch two small people desperate to see different things and explore. We've definitely learnt that having eyes in the back of your head is part of the parenting journey! I am a worrier when it comes to busy places and keeping track of my children; I think like most parents we toe the line constantly between giving them space to grow and making sure they don't come to any harm. It's always going to be a struggle but we try; teaching them early about getting lost, strangers and not running off too far. When we've been out and about this summer I've noticed little things in place to reassure parent and children should someone stray too far; lost points, badges and wrist bands with parents phone numbers on. No one goes out with the intention of not watching their child properly, but it does happen and being prepared helps. 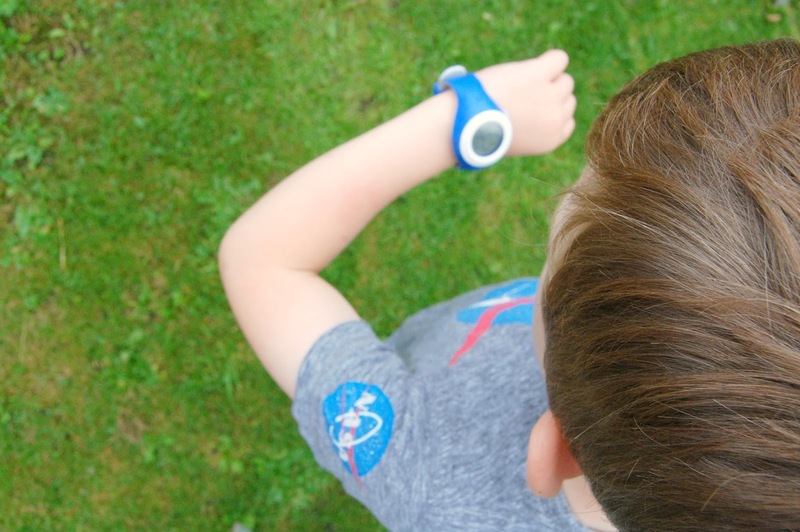 Watchu asked us if we would like to try our their GPS watches for children, and I was really intrigued as to how it would work and whether it'd be something we'd take to. "It was really easy to set up, just scan the bar-code on your phone and install the app, then register the Watch in the app using the phone number associated with the sim. Really simple for anyone to do." 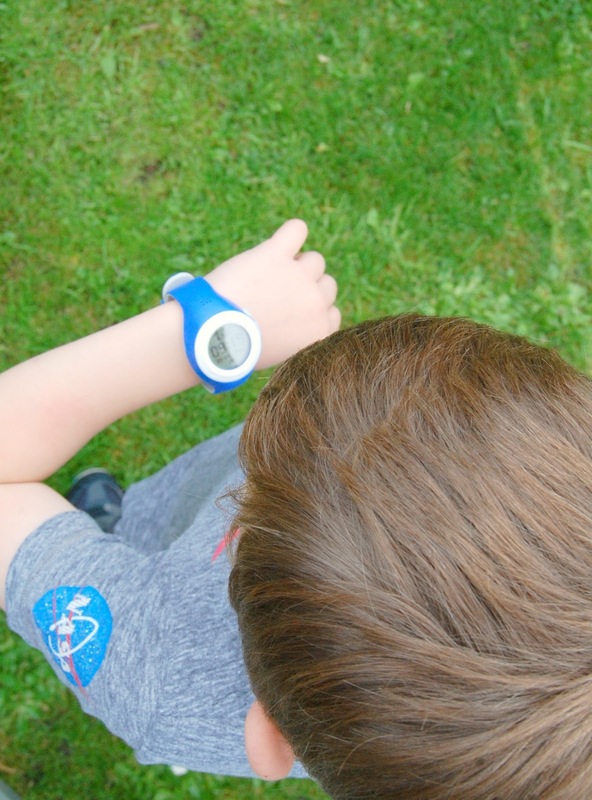 TJ was desperate to try his "spy watch" so he went to the shop with his Dad and called me from it to test it out- I asked Joe not to help him to see if he'd learned how to do it himself. I was really surprised at the clearness of the call and how quickly he'd picked up how to use it. We both downloaded the app which we can use to call the Watchu and track its location- such an amazing feature if you're heading somewhere busy. It uses three different types of tracking technology from the watch to the app to find the Watchu's location, GPS, LBS(2G) and Wifi. 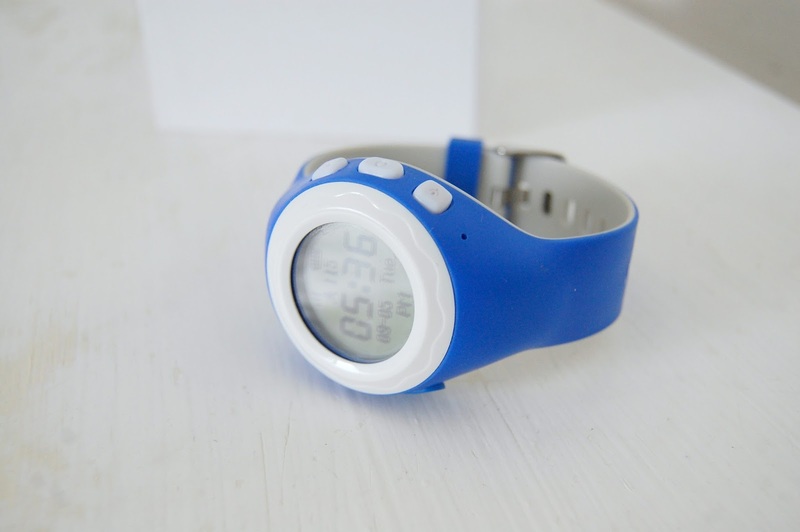 What I love about the Watchu is that it looks so simple; the face gives no indication that it is a tracker or that it can listen in to its surroundings without anyone noticing and the battery lasts up to 120 hours after being charged. It also has an SOS button which connects immediately and calls a pre-saved number until answered. This is one of the most amazing pieces of tech for children we've ever seen! As soon as family and friends saw this they wanted one for their own and of course, the kids were desperate to get one themselves; it's perfect for children who are too young to have a phone or if you'd rather they were only able to make calls. I can see so many uses for this little gadget for children, and also for vulnerable and elderly people, for whom Watchu also have a design. The Watchu guardian has the same features but in an adult style; again it's almost indistinguishable as anything other than a watch. The Watchu is such an amazing piece of technology and it's been really great to see how useful it can be first hand; at the most, this could be a real lifesaver. It's certainly something to think about if you're worried about keeping track of your little ones! Check our Sally's blog HERE! It's an 'AMAZING' from Rio! We love seeing WATCHU unboxed and Rio has been very excited to get his hands on his new WATCHU. We hear he's off on some pretty exciting trips this summer and we're very envious but also super excited to see some more videos of what he's been up to and how he makes the most of his new gadget! Click HERE to subscribe to Rio's channel and stay up to date with future reviews and adventures.